Sensory Scent - Scent delivery systems for use in education, retail and the leisure and entertainment sectors. Do you need help selecting the ideal scent delivery system and aromas? SensoryScent produce a range of reliable, affordable scent delivery systems with over 400 preformulated fragrances to choose from. Our scent specialists can also produce bespoke scents to suit your needs and will work with you to create the aroma that you want, however large or small your project is. Complementing our range of off the shelf scents, is our wide variety of scent nebulising machines. Scents can be used to stimulate memory and bring past experiences to life, create pleasantly smelling working environments or do something as simple as add realism and special effects to a history lesson. From simple canister based scents for that quick and instant burst, to a multi aroma vaporising scent machine for constant delivery - we have the solution for you. Aerosols provide quick, easy and clean delivery of scents and aromas. Ideal for adding that extra sensory dimension to lessons and presentations or for quick scene setting, aerosol-based scents offer an easy and clean way of delivering scent quickly without the complexity or cost of automated delivery systems. We also offer a range of solution which can automate the delivery of aerosol based scents and neutralisers, including options for controlling them from physical push-buttons or DMX networks. Over 400 pre-formulated scents available. 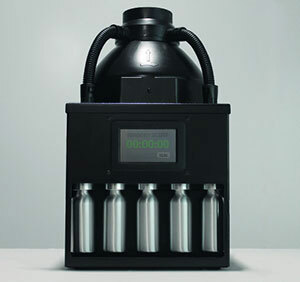 Delivery of accurate scents and aromas with simple timer-based automation. Nebulising delivery systems offer a more realistic aroma as they don't contain the 'carrier' required in aerosol solutions. Our single-scent nebulizing systems offer a degree of automation through the built-in timer. Often used in retail environments and exhibitions, our single-scent delivery systems are perfect for creating aromas for marketing purposes. 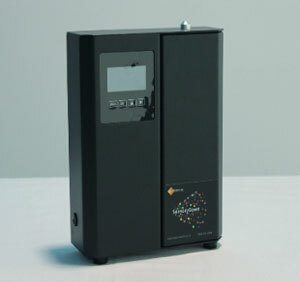 These units are also popular for delivering odour neutralisers in residential/care homes. Professional multi-scent delivery systems for large spaces and commercial applications such as theatres, museums and theme parks. Our multi-scent machines are available with a wide range of control options including a built-in touchscreen with timer controls or external control including mobile apps, USB control via our SDK or DMX for control from studio or theatre lighting desks or automation systems. Our multi-scent machines can be installed with most existing HVAC systems. 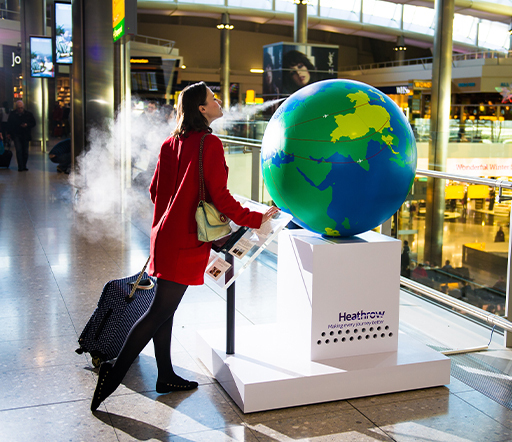 SensoryScent have worked on many bespoke projects - including both retail and marketing applications, including mobile systems for use in vehicles, kiosks for perfume retail applications and even a scent globe which was used to deliver aromas from around the world for the opening of the new Heathrow Airport terminal 2 (pictured here). Our flexible scent delivery systems allow us to offer a range of options from push-buttons for installed/kiosk type applications, IPAD or tablet control for manual operation or automate the delivery of scent completely using simple timers or more advanced control systems. If you're a solution provider or integrator looking to add scent to your products, our software development kit will make integration easy. Whatever your requirements are, give us a call and we'd be happy to discuss them with you. "I would have no hesitation offering SensoryScent to others. The service provided was excellent. From the initial conversation Matt was enthusiastic, accommodating and on hand to offer specialist knowledge and advice to help us navigate what was, from the off, a remarkable complex project."